Sometimes when you return home from a big trip, it seems almost like a dream. Did that really happen? Was I really standing there, on that mountain? Did I fly across the ocean? Travel, like most pleasurable activities, flies by in a blink-span, and before you know it you are back home again. But you can learn to make the most of your trip by milking it: squeezing every single drop of joy out of the travel experience. From the initial yearning through the serious planning stages and into the post-trip haze, you can enjoy your trip in extended ways by creating your own travel rituals. Use these pre- and post-trip tips to make the most of your trip. Milk it! Design a dream board. 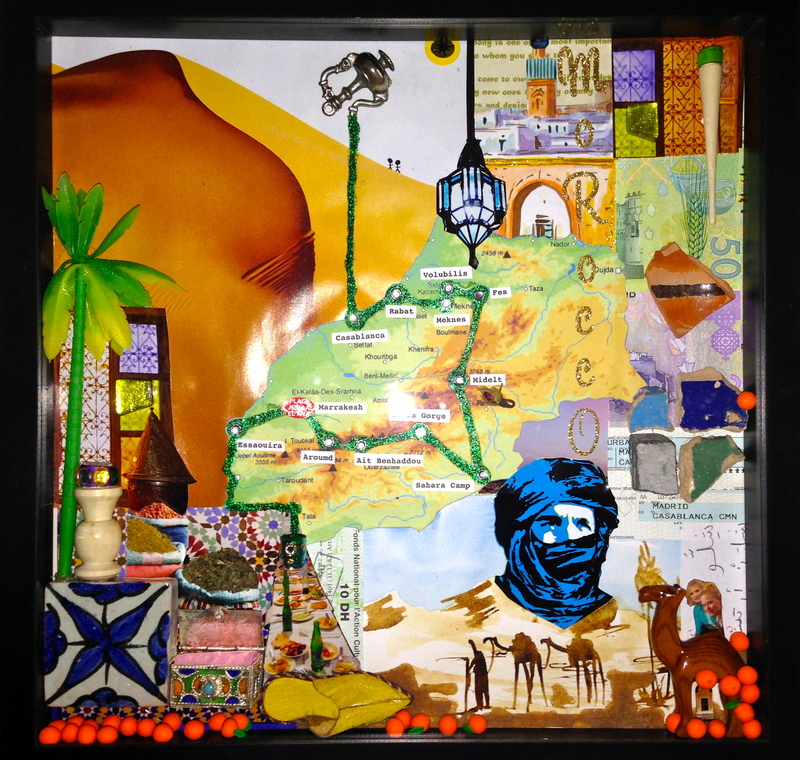 Feed your future travels with visual inspiration by making a dream board. Choose a heavy piece of paper or cardboard for backing, and cover with pretty colored paper. Create an ongoing collage of destination images, written tips and other inspiration as the months go by and you countdown the days until departure. Plan your trip as far ahead as possible. For many people, planning a vacation is a stimulating experience. Draw out your pre-trip time period as much as you can, and plan a little of your trip each day to spread out the travel excitement. You probably don’t want to book hotel rooms two years out, but you can create a dream board for your 2015 African safari. Prepare your journal. When you are old, you will want something amazing to read, so prepare a travel journal before you go. Personalize the front cover with images or a quote about your destination, then fill first pages with pertinent information: emergency phone #s for embassies, banks and airlines; addresses of friends for postcards; hotel information; confirmation #s; quick translations. Read the guidebook. Whether you rent from the library, download to your iPad or go old-school with a heavy tome and highlighter, having an updated guidebook will inspire and inform you about your destination. Even if you only read the parts that excite you, you’ll arrive with a better understanding of the local culture. Learn a few words. You don’t have to enroll in community college classes; just learning a few important phrases can do wonders for your travel experience. Teach yourself the words for hello, goodbye, please, thank you and how are you in the local language. You’ll find the correct pronunciations online, and you can write reminders in your travel journal! Get out the suitcase. So what if your flight doesn’t leave for three weeks? Pulling out your backpack, duffel or rolling bag means that travel is imminent – and you’ll get a jolt of dopamine every time you look at it! Take a day for you. Flying back on the 4th? Tell everyone you’ll be home on the 5th. Give yourself an extra day of rest when you return from your trip. This lets you slowly find your marbles before you jump back into the world of emails, phone calls and to-do’s. Revel in the travel high during this blissful day and gradually return to your everyday reality. Establish an after-trip eating ritual. When you return home from traveling, your kitchen is bare and the last thing you want to do is cook and wash dishes. Even though you just spent a ton of money, let yourself enjoy one last meal to cap off your adventure. Whether it’s a super-deluxe pizza delivered to your door the evening you return or a bistro breakfast the morning after, a post-trip restaurant ritual lets you ease back in to normal life. Plan a mini adventure. You’ve been home for a few days when it hits: the post-trip slump. You’re back to a world of laundry and emails, and your next trip seems like a far light on the horizon. It can be easy to slip into a funk – unless you take a fun adventure shortly after your return. Plan on a lunch outing with friends, go to a museum you’ve always meant to see, or buy tickets to local show. 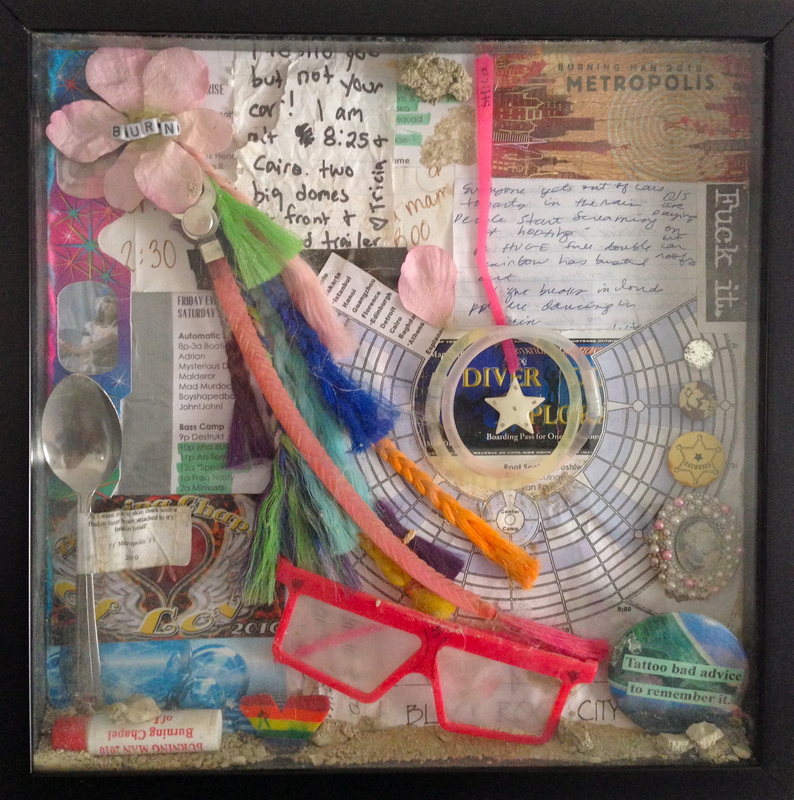 Create a shadow box collage from your mementos. Do you return home from a trip with a random collection of ticket stubs, coins, brochures, maps and other memorabilia? 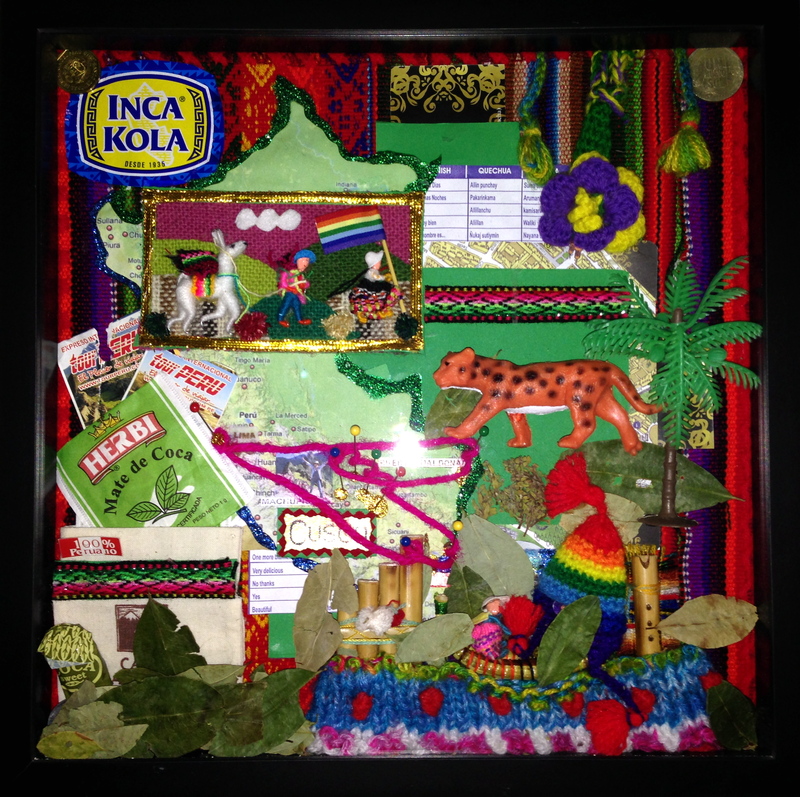 Don’t just let these souvenirs languish in a drawer; instead turn your trinkets into treasure by designing a collage to fit a shadow box frame. Augment your art with personal photos, a route of your itinerary and other thematic elements. Make a meal for friends. Remember that amazing dish you discovered on your travels? Look up a recipe for it online and try to cook it yourself. Even better, invite your friends or family over for an entire multi-course meal that is inspired by your most recent destination. Set your computer’s screensaver and wallpaper to your trip photo album, and arrange for the images to change every minute or so. You probably came home with hundreds and hundreds of pictures, and it can be hard to appreciate them all at one time. Setting your computer to slowly rotate the images gives you a chance to admire each one for more than a moment, and you get a colorful reminder of your trip all day long. Categories: Trip Planning Help & How-To's | Tags: milk your trip | Permalink. I LOVE the shadow box of Morocco. A great idea. I think I might do the same. Great blog!